Over the last 100 years Vincent’s Realty has experienced all the trends and changes in the Central Florida real estate market and has always focused on providing clients with value. Vincent’s Realty of DeLand, Florida makes it easy to find your new home in DeLand or surrounding communities. Whether you are looking for a new luxury home, a condo, or a house, Vincent’s Realty can help you search through properties, research the neighborhoods, and provide you with the local insight. The Gould family has been in DeLand since the late 1800s. 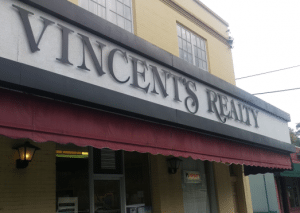 With the right knowledge and experience you can be sure that a representative at Vincent’s Realty will assist you in finding exactly what you are looking for. With an online search tool it is as easy as plugging in your search parameters to begin to get an idea of what is out there. To learn more about what Vincent’s Realty can do for you, click here. To learn more about some of the home insurance options that V.W. Gould Agency has to offer, click here.